The story of our lives is not fixed. It can change, either through circumstances, events, good or bad luck or through our own determination, ambition and drive. If your life story seems stuck in a rut, maybe 2018 is the year that you start a new chapter, turn over a new leaf and aim for something better that might just turn your life around and result in a fitter, happier and more fulfilled new version of you. If you look with envy at those people jogging round the streets or burning up the tarmac on their bikes, and have resigned yourself to being a bit overweight, old before your time and “past it”, think again. Just because you hated games at school, haven’t run anywhere since you were a child and dread the very idea of joining a gym, it’s really not too late to give it a go. You may not become an elite athlete overnight, but you’ll definitely get at least a bit fitter and more energetic, and make a few friends along the way, so what have you got to lose? Gyms are not full of super-fit, people (although there are a few of those); they’re actually full of people just like you, people who want to look and feel better, stay healthy and live long and fulfilling lives. And the gym provides you with the advice, motivation and structure that will help you achieve those worthwhile goals – it’s so much harder to try and do it on your own. So don’t feel you won’t fit in - gyms are for everyone. * Even if you are uncoordinated and perhaps not the star player at team games and sport, there will be a gym activity or class that will suit you, from yoga or Pilates to some stretching or weight-bearing exercises, using the equipment that staff will be delighted to show you how to use. * Just because you’ve not exercised for a long time, there will be a level of fitness that you can achieve, which will make everyday activities so much easier and more enjoyable to do. * Even if you’re in the more mature age range, don’t feel you’re “over the hill”; it’s never too late to try and improve your fitness. 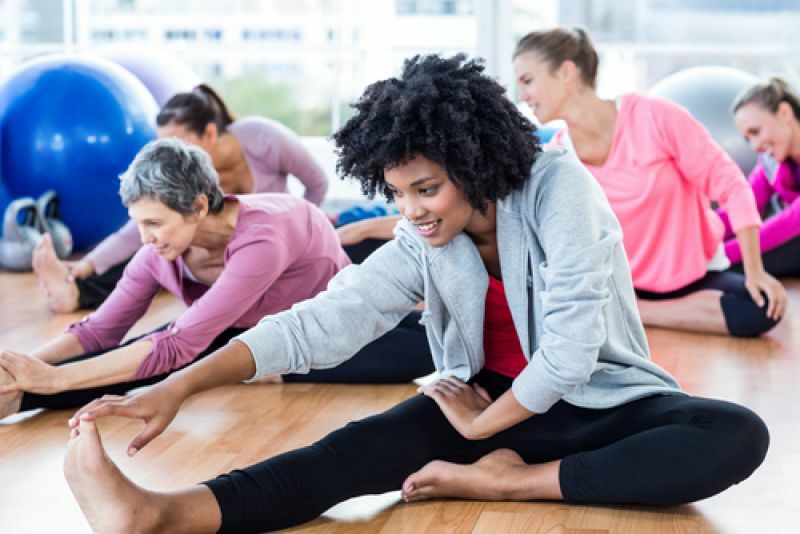 With the right exercises, you may stave off illnesses, help your joints, boost your energy, improve your mental health and give yourself a new lease of life. You’ll find that other members and staff at the gym are surprisingly welcoming, non-judgemental and friendly, so don’t be shy! With all this in mind, we are holding an Open Weekend from 26th to 28th January 2018, aimed at ordinary people interested in the possibility of embarking on an extraordinary new, fitter life story. You’ll get the chance to have an informal look around the gym, meet some of our enthusiastic staff and discuss your aims, and try out some of the weird and wonderful equipment on offer– absolutely free of charge. So why not bring a friend or family member along with you to bolster your confidence and break through that barrier of embarrassment or fear of failure that stops you giving gym membership a try? There’ll be special offers and incentives to join on the day, and we offer short-term trial memberships, so you can just see if that new, fitter story of your life is one that’s worth investing in. And it won’t cost a fortune, either – for just pennies a day (far less than the cost of that regular cappuccino) you can make a new and exciting start to better health and fitness.